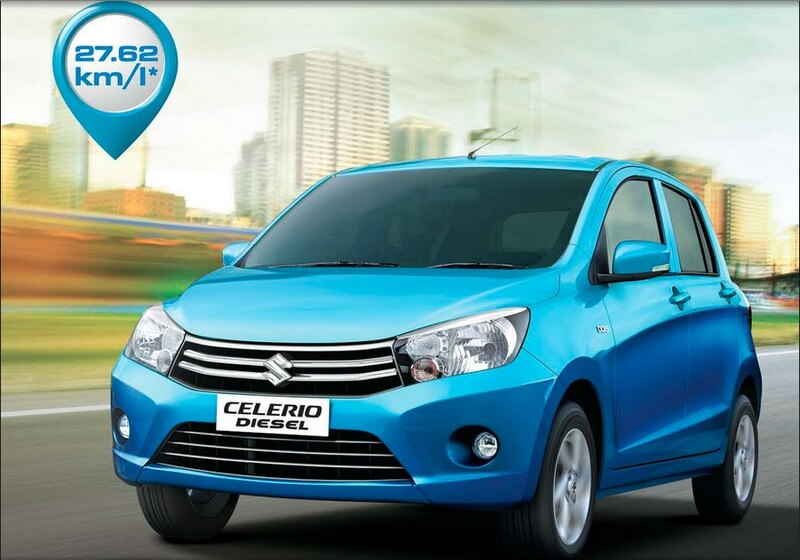 Maruti Suzuki launched the Celerio diesel last month boasting an industry leading ARAI certified fuel mileage of 27.62 kms per litre of diesel and with a starting price (ex-showroom Delhi) of Rs.4.65 lacs for the LDi entry variant and approximately Rs.5.7 lacs for the ZDi (O) fully optioned top variant. 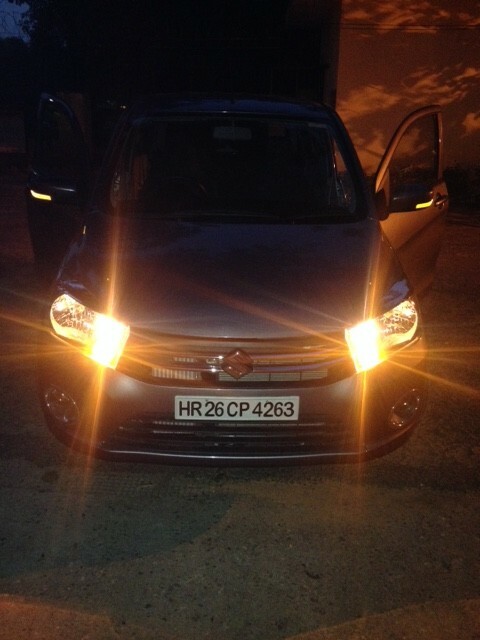 I took delivery last Friday of a “Glistening Grey” colour (5 more for choice) Maruti Suzuki Celerio ZDi (O) diesel with just about 1838 kms on the digital clock for a test drive and review. 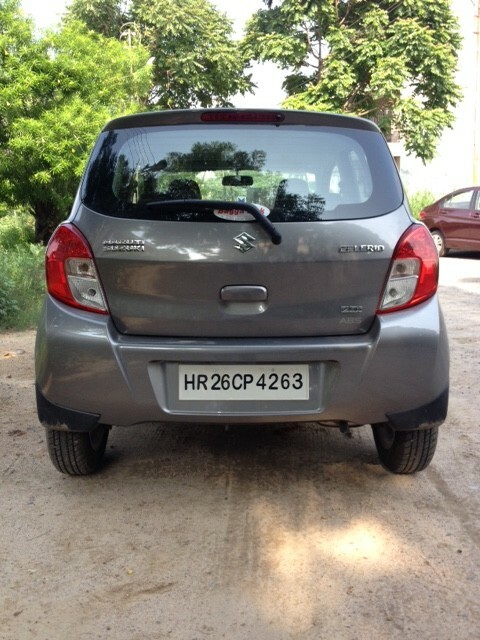 The “O” abbreviates for the fully optioned top of the range “ZDi” diesel variant of the Celerio model range and thus came fitted with all the bells and whistles. I would also recommend a download and read of the company’s brochure for the entire list of options that the ZDi and lesser version come standard fitted with. 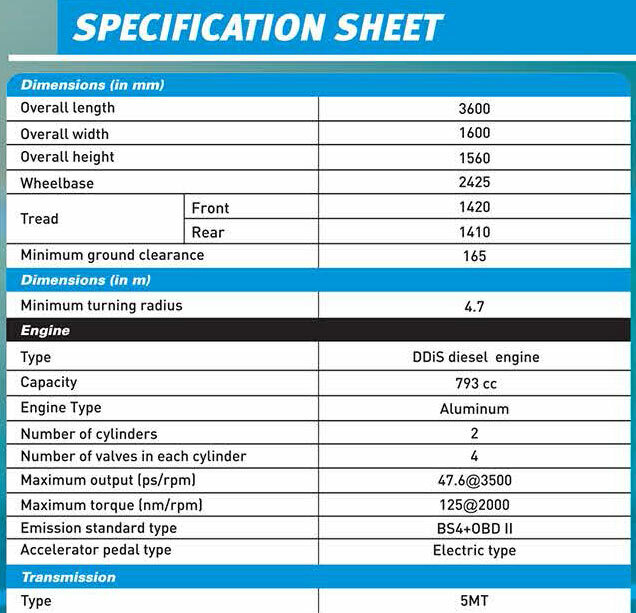 The main highlight and talking point about the Celerio diesel is its mere 793cc displacement all-aluminium diesel engine “DDiS 125”, developing 47 odd horsepower at 3500 rpm and 125 nm of torque at 2000 rpm. 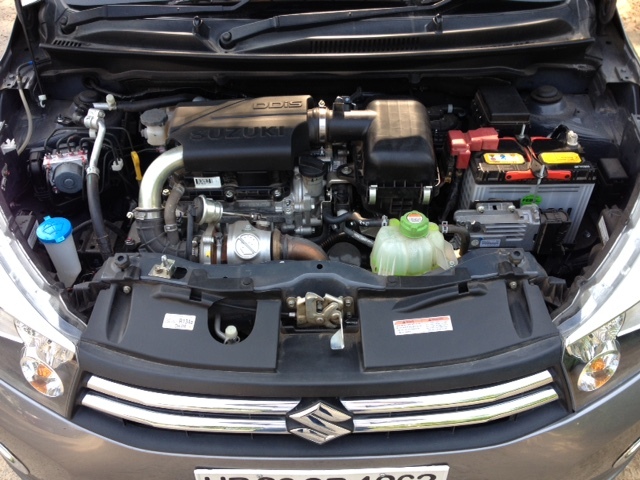 Impressively, this engine has been developed in-house by Maruti Suzuki with the Indian consumers firmly in mind and expected to spawn others up and down its range in the near future. Apart from the small capacity displacement, the engine has just two cylinders doing the leg work though helped on by a turbocharger and intercooler similarly scaled for the engine. The engine and its torque mapping has been specifically designed to get you further for every drop of diesel fuel consumed though not in a hurry and those looking for a diesel hot hatch experience should look elsewhere. Though noticeably noisy on the outside, the reasonably good cabin insulation does a fair job keeping cabin noise to acceptable level, though a constant low thrum still seeps in at idle and turns annoyingly gruff at revs of 3000 rpm and beyond which will have you shift down to avoid the noise as much as the need to stay in the power band. Without the aircon on, the car settles in at approximately 900 rpm and vibrates the whole car ever so slightly, however switch on the aircon and the revs pick up to a smoother idle at 1000 rpm and much of this vibration irons out. Slot the notchy and slightly disappointing gearbox into first gear and the car picks up pace gradually and the 100 kmph is expected in around 20 seconds. 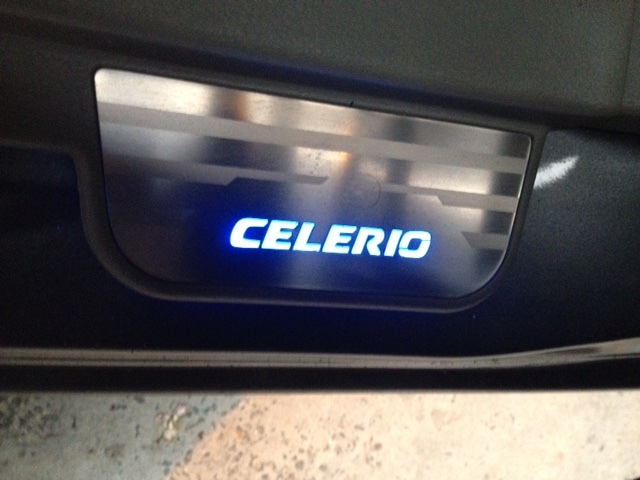 However the Celerio diesel is marathon runner and not the sprinter. As the revs increase and the turbo spools up to 1800 rpm, you hit the torque sweet spot at around 2000 rpm and can ride the torque till about 4000 rpm. To continue making make brisk progress, one would need to short shift and rifle down quickly through the 5 forward manual gears in and around the 2000-3000 rpm mark as the torque tapers off dramatically beyond the latter mark. Though a narrow torque band for most, in city traffic I never did find the Celerio running out of breath within the torque band even with the aircon on and with at least two more passengers on board. The Celerio will do low triple digit speeds on the highway without much fuss though subject to increasingly loud and gruff diesel engine note beyond 3000 rpm, but is best placed at high double digit speeds for maximum fuel economy and NVH levels. This suits the city-centric nature of the Celerio where such high speeds are difficult to achieve and illegal and the name of the game is mileage and not outright pace. With a lot going for it, what however did disappoint me and took me much by surprise was the gearbox. A bit coarse and notchy, especially in the throw to 1st gear and reverse, this failing does take a bit away from the otherwise hassle free operation and smooth powertrain of the Celerio and remarkable that Maruti Suzuki did not iron it out before launch. On the move however the gearbox is much better to use and slots in well enough past 1st gear. Maruti Suzuki claims an ARAI certified fuel economy of 27.62 kms per litre of diesel fuel which ranks the Celerio as the most fuel economical car in the country at present. While this figure would be near impossible to match in real-life traffic conditions in any large city in India, there is no denying the fuel efficiency of the engine otherwise. My drive through south and central Delhi traffic with an occasional drive to Gurgaon and back with accompanying adults, a heavy foot at times and with the aircon always on, returned me an average of approximately 20.1 kms per litre. What may however be of some concern to a potential buyer especially for the highway and inter-city drivers would be the small fuel tank capacity of 35 litres. The stand out fuel economy of the Celerio on the other hand would make you stop less at the fuel stations in between and make this argument redundant, especially for the city bound owner, though a larger fuel tank would have been a extra feature to make good use of for the long drives. The Celerio is fairly attractive in ZDi trim (especially when compared to some rivals) and appears fairly well apportioned for length, width, ground clearance and wheelbase for a car of its class. It enjoys the generous head room, reasonably good ground clearance and is compact enough enough to be hurled around city hazards and be slotted into cramped spaces. Further, despite an overall length of just 3600 mm and a wheelbase of 2425 mm, the cabin is extremely roomy and well laid out, and for me a stand out feature along with the fuel economy. At the back, three average sized adults would seat comfortably enough, helped by the space, high roof and by the low transmission tunnel in between the seats running along the car floor. Arguably, the generous cabin space does eat into the luggage area, which is a claimed 235 litres, with a parcel shelf for light things to place over. 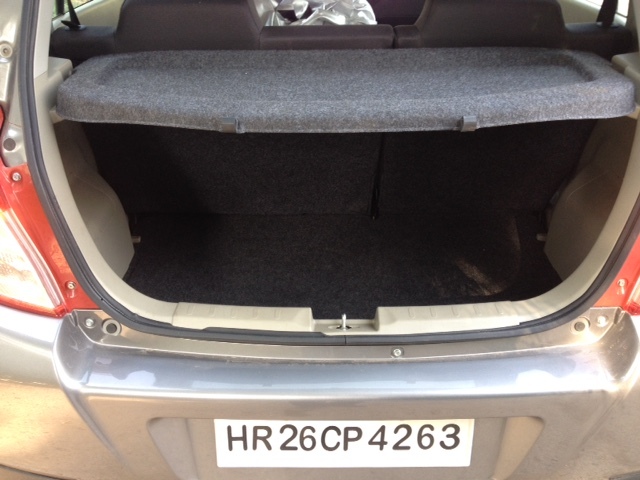 The rear seats however fall down to increase the load carrying capacity significantly. What the Celerio does however lack are rear aircon vents for additional comfort though the aircon does otherwise work remarkably well for the small engine capacity. 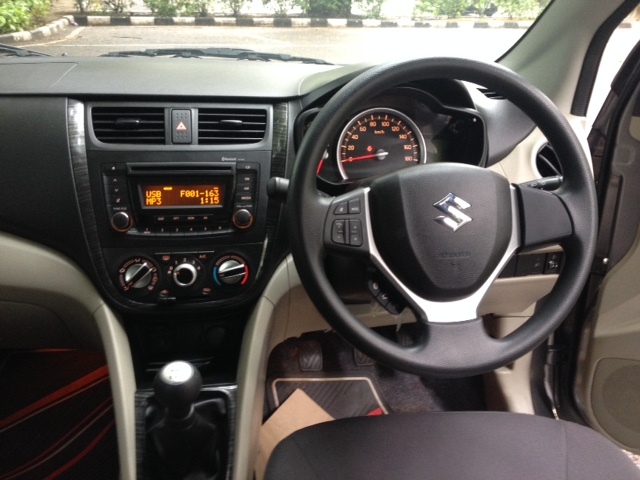 The interior of the Celerio is a happy place to be, the cabin is incredibly spacious and airy for a small car. The seat is slightly upright yet comfortable, and provides you a good posture when driving, further helped by the additional feature of seat height adjustability for the driver on this top variant as well as the tilt adjustability for the steering column. The seat when set at its lowest still manages to provide a good view of the road ahead and helps navigate through bad roads. The ride, damping and suspension set up of the Celerio riding on 165/70 R14 JK‘s on smart factory alloys (ZDi only option) is perfectly calibrated as even the most course, broken and potholed roads get soaked up fairly gracefully, without any loud thuds or crashing sounds. This impressive ability also belies the hatchback’s low weight of approximately 900 kilograms. 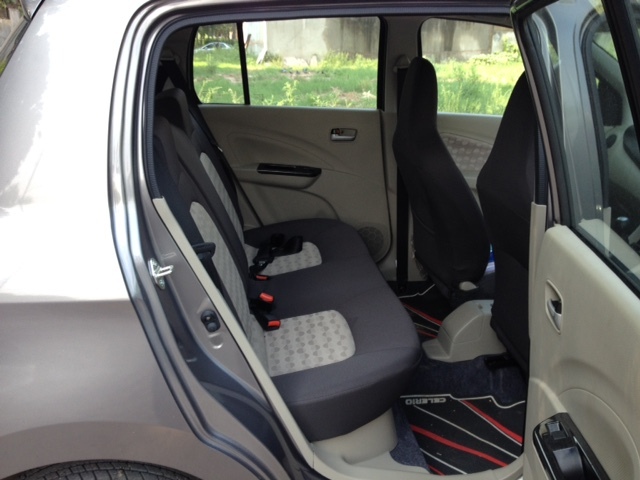 The materials used for the seats and door upholstery are tastefully done with a quality feel to them. The plastics used for the dashboard, switch gear, door handles and storage spaces feel screwed together and hard wearing. The switch gear on the dashboard, steering stalk, doors are solid and tactile. The Celerio overall is well put together with a fit and finish like any other Suzuki and best in class, which inspires confidence in its abilities and longevity. A stated kerb weight of about 900 kilograms and a light aluminium engine helps the Celerio considerably in the handling and fuel economy stakes with less weight to pull around. The car handles confidently like a well sorted small hatch helped by the well weighted 3 spoke electronic power steering. The latter is good to hold and to use, it is not overly light and inspires confidence on the move, though some might prefer a lighter or even a speed sensitive unit for parking purposes, the steering does help in higher speeds and decisive traffic negotiation. Braking performance of the ventilated discs brakes up front and drums at the back wheels also ensure confidence as does the pedal feel. 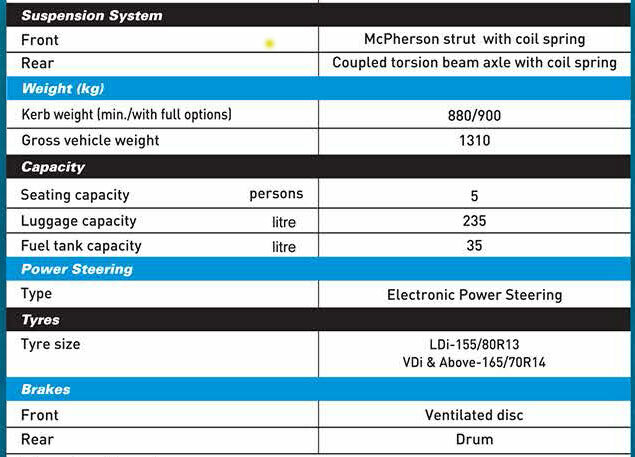 Also worth a mention is the “hydraulic clutch system” highlighted by Maruti Suzuki for good reason, quite light yet precise to operate, it takes away the stop-go city traffic exertion on the left leg. For further safety, apart from ABS, the Celerio ZDi also comes with airbags for the driver and front passenger, remote central locking with alarm and the obligatory seatbelts for all the occupants. The slight tall stand, large windows all round and sizeable door mirrors provide a good vantage point and an easy lookout for surrounding traffic and blind spot avoidance when overtaking or lane changing. The rear door also open wide at almost right angles for easy ingress and egress. At approximately Rs.5.7 lakhs ex-showroom Delhi NCR, the ZDi version is fairly expensive though it does come with more features than you can count or care to remember. 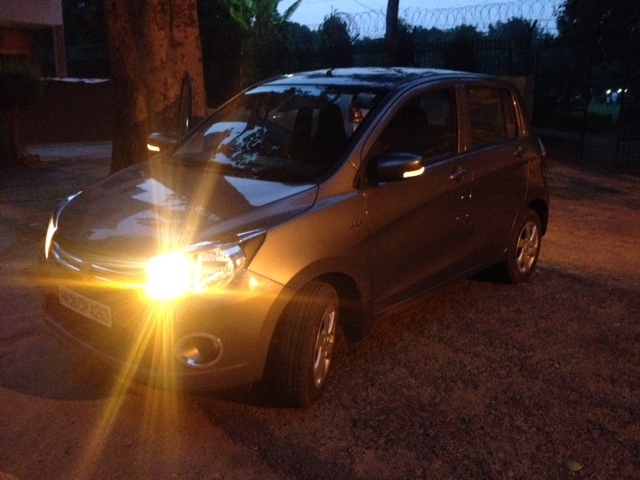 The Celerio diesel is quite attractive in the ZDi trim though not enough to make a passerby’s head turn in a hurry. Yet to harp on just the physical looks of the Celerio would be to miss the point completely, as it has been specifically designed for the budget conscious consumer (possibly with a small family) who wants a well made and an extremely fuel efficient small hatchback car to avoid the public transport system and survive the fuel prices whilst negotiating city traffic and parking in tight spots. The engine though a tad noisy and gruff at high revs and non-responsive at low revs, will reward with possibly industry leading mileage returns when kept in the right power bands by a judicious right foot. A well manufactured and engineered (barring the gearbox) Japanese small car backed by Maruti Suzuki’s unparalled after-sales support and servicing network, the Celerio diesel promises hassle free ownership and strong resale value for the diesel. What would be of some concern to a potential buyer would however be the growing parity between petrol and diesel prices though the remarkable fuel economy should still see the Celerio diesel find many homes. I would highly recommend the Celerio diesel as a potential buy though my personal choice would be the VDi version at just under Rs.5 lacs. The latter would save me a sizeable chunk in change as I would be willing to forego some of the luxury features found on the ZDi whilst still keeping the important ones. 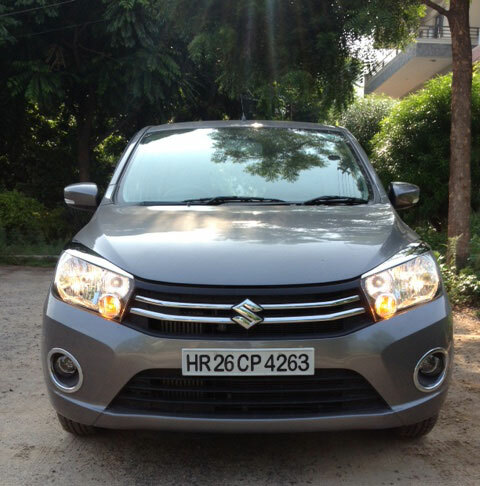 The Celerio diesel is the quintessential “Marathon Man” from Maruti Suzuki, built like Dustin Hoffman’s character to outrun the chasing pack over the distance.